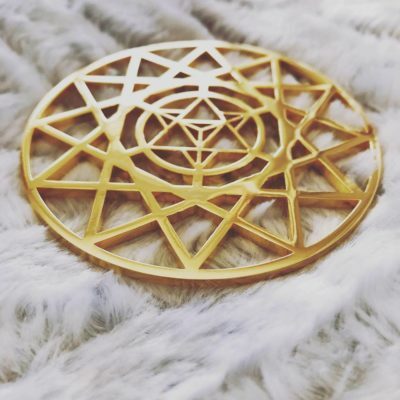 Merkaba Star is a 3.3 inch (8,5 cm) diameter handcrafted Tool that is Gold 24k plated. 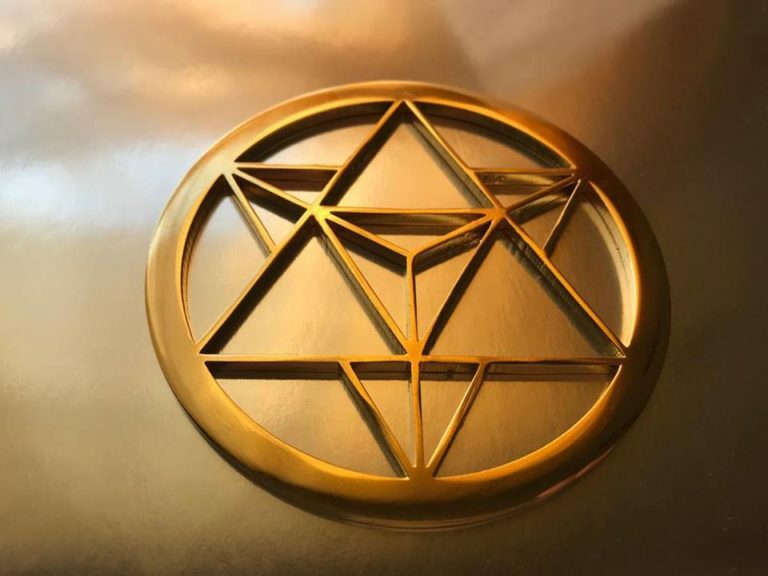 Merkaba, also spelled Merkabah, is the divine light vehicle used by the Masters to connect with and reach those in tune with the higher realms. The Mer-Ka-ba is the vehicle of Light mentioned in the Bible by Ezekiel. 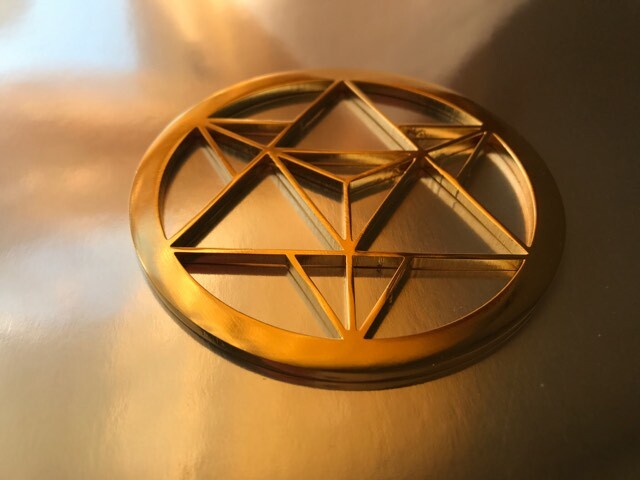 The MerKaBa is the key to understanding how to move from one dimension or level to another. It is the divine light vehicle used by Ascended Masters to connect with, and reach those in tune with the higher realms. When this shape is activated, you are in a place of complete protection, with the surrounding energy being generated from pure Divine Love. 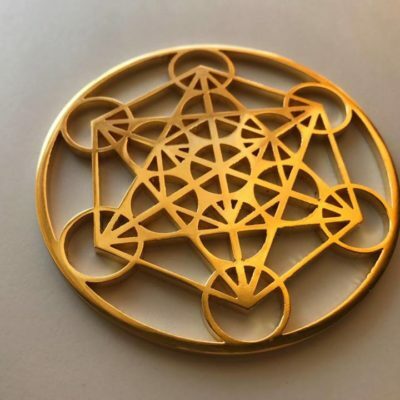 Using the energy from this Tool with meditation and visualization you can activate an energy field around you which is capable of carrying your consciousness directly to higher realms. 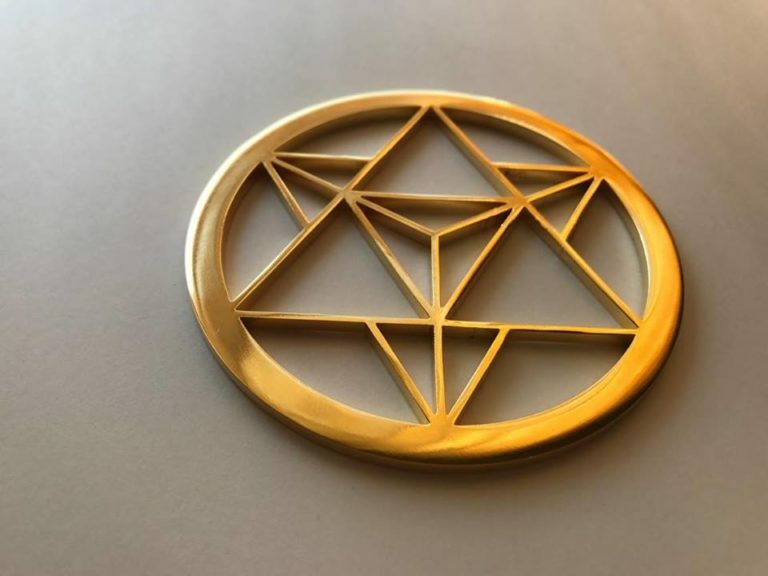 Merkaba Tool is an ascension tool for protection. 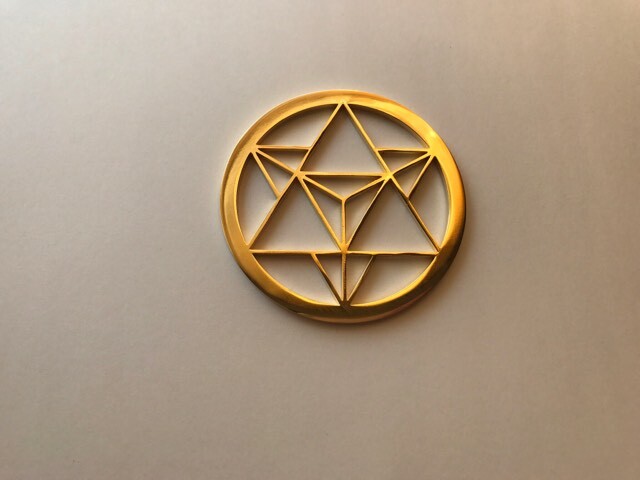 The Tool assists us in our spiritual growth and connects us to our higher self. It protects against accidents. It cuts through opposing vibrations, thoughts, words and actions. It strengthens the mind and magnetic field and keeps negativity away. 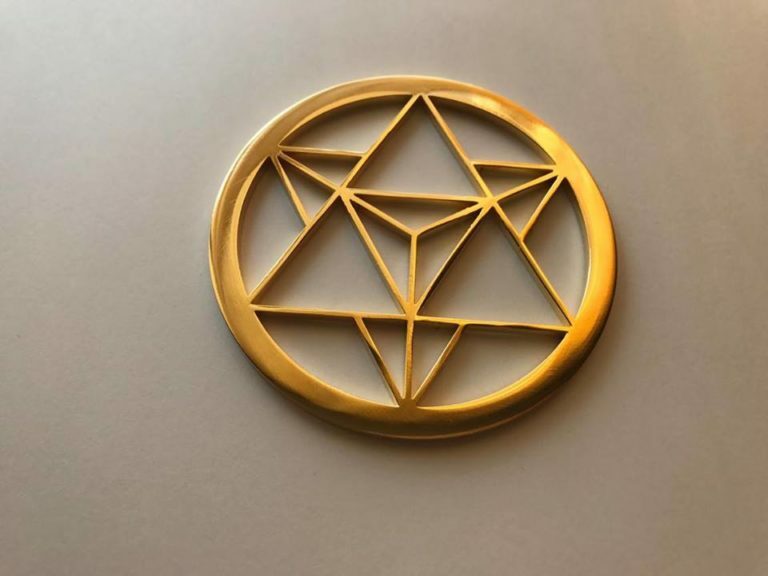 Merkaba Tool is the perfect Tool for activation of the Light Body merged with the Physical Body in Awakening Deep Spiritual Transformation.